Part-time faculty in the District will vote this week and next on whether to participate in the California State Disability Insurance Program. The District and AFT Local 1493 agreed to conduct the election, in accordance with state law governing State Disability Insurance. California State Disability Insurance (SDI) is a partial wage-replacement insurance plan for California workers. Workers who have SDI are covered by two programs: Disability Insurance and Paid Family Leave Insurance. The SDI programs are funded through employee payroll deductions. SDI provides affordable, short-term benefits to eligible workers. The cost of participating in the program will be borne by each part-time faculty member. The current contribution rate is 1.1% of gross salary. A majority of the votes cast will determine whether the program is implemented or not for part-time faculty in the San Mateo CCD. A link to the online ballot will be sent to all eligible part-time faculty, and the voting period will be from December 1 through December 15. AFT believes that the recent legislation that makes part-time faculty participation in SDI possible to be an important new benefit for part-timers, and for that reason urges part-time faculty to vote YES in this upcoming election. He is survived by Leah, his beloved wife of 61 years, his daughter Susan, his son-in-law Warren Mar, and his granddaughter Caroline. In lieu of flowers, donations can be made to the Louisiana Veterans Memorial Foundation, USS Kidd Veterans Memorial, 305 South River Road, Baton Rouge LA 70802-6220; or to the VA Palo Alto Health Care System, 3801 Miranda Avenue, Palo Alto CA 94304 (label donations: “For General Fund # 2202”). California Community Colleges are woefully underfunded. UCs and CSUs have increased tuition to stay afloat. At the same time, private for-profit institutions of higher education are doing great business: they enroll lots of students and their revenues increase year after year. One is almost tempted to start thinking that perhaps the private for-profit model is the one we should emulate. But is it really? While I cannot even attempt to begin a comprehensive analysis of the state of public and private for-profit higher education, I will share some information about student access, persistence, success and education funding that may help put the comparison in perspective. Given the state of the budget for California Community Colleges, and the fact that there is more student demand than the system can accommodate, earlier this year, California Community Colleges Chancellor Jack Scott, came up with an idea, which materialized as an MOU: to allow community college students to take some of their courses online at Kaplan University, a private for-profit institution. Kaplan would offer these courses at a deep discount of 42%. Still, the discounted courses would have cost over $200 per credit, as opposed to $26 at a community college. Not precisely a bargain for our students. For Kaplan, this deal would have made their recruitment efforts easier by providing an ongoing stream of students—after all, there are lots of students who cannot get into the classes they need at our community colleges. The MOU was terminated in less than a year, after complaints mostly from faculty in the community colleges, and the realization that courses taken at Kaplan would not transfer to UCs and CSUs. Keeping enrollments up is a real struggle in the for-profit world: 57% of students (and as many as 75% in some institutions) drop out in less than two years; in other words, only 43% of the students continue to be enrolled after two years (U.S. Senate Committee). In the California Community Colleges, the fall-to-fall persistence rate is 68% (ARCC); this means that after two years, about 46% of the students are still enrolled. So there is not much of a difference between persistence rates at California Community Colleges and those at private for-profit institutions. What about student success? According to a report by the Center for Community College Student Engagement, 28 % of first-time, full-time students seeking an associate degree finished a certificate or a degree within three years. According to the 2010 ARCC Report, in the California Community Colleges, among students who enrolled with the intention to transfer, earn a degree or a certificate, 52% achieved their goal within six years. In comparison, according to a report by the United States Senate Health, Education, Labor and Pensions Committee, data from 16 for-profit schools showed that after two years, 62% of students seeking an associate degree had dropped out, 27% were still enrolled, and only 8% had obtained their degree. Many of the students who enroll in private for-profit institutions can hardly afford the cost of their education. So they end up getting student loans and grants. For example, in 2007, over 95% of students attending two-year for-profit schools took out loans, compared to 16.6% of students enrolled in community colleges. At the 16 for-profit private institutions, about 90% of their revenue came from federal funds: mostly from the Stafford loans that students took out and the Pell Grants that they received (U.S. Senate Committee), in other words, financial aid programs supported by tax payers. In sum, students do not accomplish their educational goals at higher rates in private for-profit institutions, and, unfortunately, most of them leave with nothing but debt. These may be good business models, but they do not seem to be good educational models. And disturbingly, they appear to be almost as “publicly funded” as public institutions. In my opinion, public education should provide access to affordable, quality education to all. The only way to guarantee that education is affordable to all is for it to be publicly funded and free for students. Perhaps some of the funding deficiency in public education could be addressed by making sure that taxpayers’ money not be used to fund a private education that will leave students with considerable debt and for-profit institutions with considerable profits. Accountability Reporting for the California Community Colleges (ARCC), 2010. Center for Community College Student Engagement. “The Heart of Student Success: Teaching, Learning, and College Completion,” 2010. United States Senate Health, Education, Labor and Pensions Committee. “The Return on the Federal Investment in For-Profit Education: Debt without a Diploma,” September 2010. DART (the District Association of Retired Teachers) will be hosting a social event at the College Vista Clubhouse (behind the District Office) on Tuesday, December 7th, beginning at 3:00pm in the afternoon. The featured speaker/entertainer is Joe Marchi (pictured at left), who both taught at Canada, and who was a regular personality on KCSM. He will give a presentation (which will include music) on the American Musical, beginning at 4:00pm. We hope you will be able to come. If you plan to attend, please email John Searle at: searle@smccd.edu so that appropriate amounts of refreshments can be provided. To help the organization stay current with your email address, please email John Searle, even if you are unable to attend. The organization also needs a volunteer treasurer and secretary. Please let me know if you are interested. Another idea to make the organization more robust is to form an adhoc committee to come up with events and activities that members would enjoy. I am all ears to suggestions for events for the coming year. 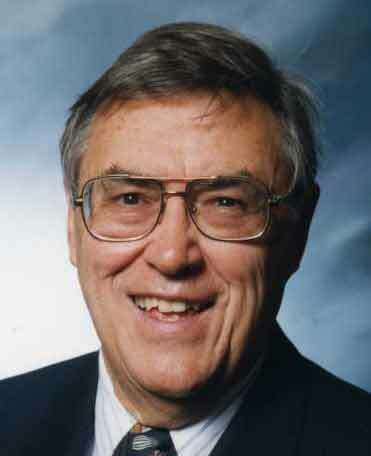 Joe McDonough, longtime AFT Local 1493 leader, died October 22, 2010. A brief overview of his life is presented above. Below we are reprinting an article from the April 2000 Advocate which reported on Joe receiving CFT’s highest honor, the Ben Rust Award, and following are numerous faculty members’ memories of Joe. The following text is from the CFT’s Ben Rust Award brochure. On hearing of his death, numerous faculty members sent us their memories of Joe, which are printed below. 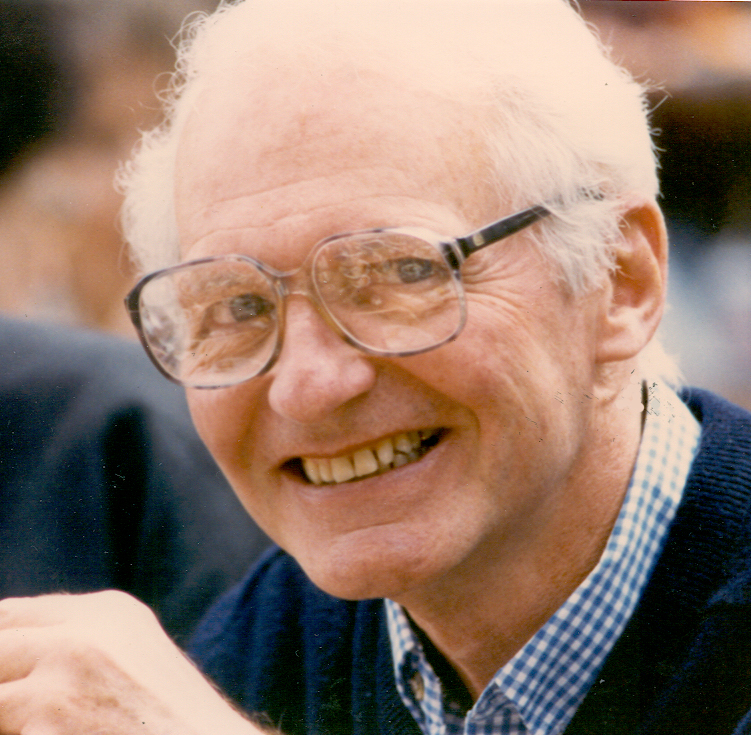 Joe was a master of knowing how to unify the faculty behind the negotiation demands of the union. By trade he was a behavioral psychologist, and he knew that some of the most powerful human emotions are triggered when one feels that he or she is being treated unfairly. So Joe researched and composed a series of one page union flyers (AKA Blue Sheets- for the color of the paper) wherein he compared our faculty salaries to those of the administration, or our salaries to those of faculty in nearby districts, etc. These flyers were very successful in making the faculty feel they were not being treated fairly. They not only angered the faculty but also energized and stimulated them to back the union negotiators and, thus, strengthen the bargaining position of the union. Joe insisted that the information on the flyers and his calculations be checked and rechecked for accuracy. We all benefited from Joe’s work. About the time super sleuth Joe McDonough discovered a missing million dollars in the SMCCCD budget and delightfully detailed the financial faux pas in the “blue sheets”, there appeared to be energy in the faculty for an assertive act. Ken Kennedy, Academic Senate President, Joe and I, not exactly the holy trinity, requested time at the next SMCCCD Board Meeting for our presentations. As I recruited faculty to attend the board meeting, not most peoples’ idea of a good time, I asked Joe what I should say. With that wry Irish smile that he always had, he said: “You’re the leader”. On the night of the meeting, there were many more faculty than the board room could accommodate, a rare event. TV cameras and newspaper reporters were everywhere and the atmosphere was electric. Ken presented his points with all the savvy of his discipline, Political Science. Even though you could see through those steely blue eyes of Joe McDonough deep into his fiery soul, he delivered a dispassionate repertoire full of facts, figures and fortitude. In stark contrast, with more limbic than cerebral firing of the neurons I concluded the faculty presentation to the board. When I asked Mary K., my wife who was second only to Joe in the recruitment of faculty to membership in AFT 1493, how she thought the meeting had gone, she replied “Joe was really cool, calm and collected”. I queried “And?” Her response was “Joe’s presentation was replete with relevant data.” I realized, now, Joe was not only my friend but my mentor. As a result of Joe’s dedication, the faculty and administration received salary increases of 6 1/2% and 5 1/2% in 1990 and 1991. I am sorry to hear about Joe. He was one of the first people who poked his head in my office when I was a new faculty member at CSM–and I was a dues-paying member of the AFT before he left my office. I have many fond memories of Joe, which go back to the 1960’s when we both lived in Palo Alto. He was a warm and humane human being, who knew how to get things done (e.g. the idea of hiring an Executive Secretary for our union). As a very young man, he had been a Navy sonarman on a destroyer, which was sunk by a kamakazi attack during the battle of Okinawa. He was part of that generation of Americans who fought in World War II and then went to college on the GI Bill. My first encounter with Joe did not go smoothly. As a newly hired part-timer, I was assigned an office to share with Jack Atthowe, a full-time psychologist who, like Joe, also worked with mental patients at the Menlo Park VA. Unintroduced and unannounced, Joe popped unexpectedly into my office a number of times to take a human brain in a jar off a shelf and then leave for his psychology class. After several such abrupt entries, I confronted him, alleging discourtesy, and we had words. A few months later I saw him a couple of times, once at a rally in East Palo Alto featuring Ted Kennedy, whose brother, Bobby, was running in the 1968 primary. On another occasion I saw him at a Be-In event at a park in Palo Alto. It was the 1960’s of radical politics and counterculture, when new ideas, music, politics, etc. were part of a heady scene. After those two sightings, we both realized we were on the same side and became good friends. When Nixon invaded Cambodia and appeared to be escalating the war in Viet Nam, we went out at night to Stanford to join the demonstrations and face the Tac Squad. Years later, when I wrote some pieces for the Advocate criticizing James Tormey, a bully on the District Board of Trustees who was a consistently reactionary element, Joe used to tease me and tell me that “Tormey has your number and wants to see you.” I’m sorry he’s gone, but our days in Palo Alto and at CSM are part of my memories of a time of hope and resistance in America. Joe had a tough side when negotiating with administrators for faculty benefits, but a real warmth and concern when dealing with friends. Some years ago we co-taught a class and on the day I was to do the entire lecture a colleague stopped by and told me that my former pet turtle, which I had given to her children for their amphibian room, had died. Joe saw me with tears streaming down my cheeks and when I blurted out that my turtle had died he didn’t miss a beat. He told me to go home and take it easy and he’d do the class. I never knew if he felt my pain or just felt I was loosing my marbles, but in either case he was ready to help. Joe was like that with most of the CSM faculty, except for those who didn’t join the union. I am very sorry to hear about Joe McDonough. Yes, he was one of my favorite CSM teachers, or rather, all-time favorites, one of those a part of whom I have internalized, helping to keep me alert and steady in my own dealings with students inside and outside the classroom. As it turns out, CSM remains at the core of my teaching persona; this, thanks to Joe McDonough,Greg Davis, and a few others. I try to be for my students what CSM teachers were for me. I remember Joe well. He was an inspiration to me in my involvement with the union indirectly. I am pleased he received this honor [the Ben Rust Award] he so richly deserved. As the exclusive collective bargaining agent for all faculty in SMCCCD, AFT 1493 collects dues and fees from faculty members. The table and chart below show all expenses incurred by AFT 1493 in 2009; these data are based on the annual audit that the Local undergoes, as required by law. The total income was $606,878 and total expenses were $598,155. 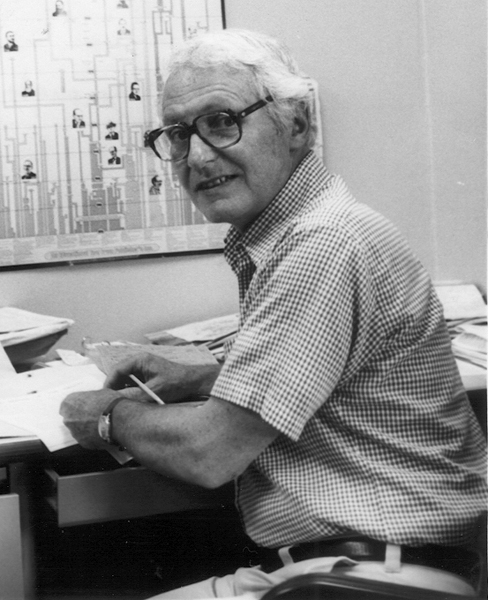 Scholarships of $3000 for students entering or attending a four-year university and $1000 scholarships for students entering or attending a two-year school, established in honor of Raoul Teilhet, CFT President in the 70’s, when California education employees won collective bargaining. Scholarships awarded to graduating high school seniors and continuing college students who are children or dependents of CFT members. July 1, 2011 for continuing college students. How to apply: www.cft.org, click on Scholarships. To learn more, phone 714-754-6638. Scholarships of $8000 for high school seniors who are dependents of AFT members; continuing education grants of $1000 for AFT members. To learn more, phone 800-238-1133, extension 4457. Scholarships of $500-4000 offered by the AFL-CIO to union members, their spouses and dependents who are enrolled at an accredited institution of higher education. The AFL-CIO offers scholarships of $3000 to qualifying union members who want to become union leaders (for women and people of color). At the September 2010 AFT 1493 Executive Committee meeting, AFT members urged the E.C. to take a position in opposition to a large and very controversial development project under consideration in San Mateo County. Cargill Inc. and DMB Associates, an Arizona-based luxury home developer, have proposed to build a new city of 12,000 homes, housing 30,000 people, behind a massive new levee on the San Francisco Bay in Redwood City. The new housing development would fill in about two square miles of restorable salt ponds, and would compromise acres of potential marshland, which is critical for, among other things, both water filtration and the sequestration of carbon dioxide to combat global warming. As a region, we have made progress towards Smart Growth – promoting building in places near and within walking distance of jobs and transit, supporting vibrant communities, and preserving valuable open space. This development – 17 times bigger than anything approved on the San Francisco Bay in the past 50 years – represents a major step backwards. After reviewing the details of the project, including the development’s impact on union jobs at the Port of Redwood City and the strong movement to restore the ponds back to Bay marshland (90% of which have been lost over past years), our Executive Committee voted unanimously to oppose the project. The developers, having already spent an estimated $20 million or more to get their project approved, are actively courting labor organizations throughout the Bay Area and the state. AFT 1493 is happy to be working with a large and growing coalition that includes workers at the Port of Redwood City (ILWU Local 10), Port industry (the shippers association), over 150 elected officials, neighboring towns and cities, and scores of environmental and community organizations from Redwood City and around the region.